It has been a pretty fantastic year for films! I wish we had more original films that weren’t part of Franchises come out or were not based off books, but that’s besides the point. I will always wish for that and in the end some of those stories aren’t as good as some of the ones born out of Franchises that have the passion and commitment of a good director and team at their back. Now, before I get started on my Top 5 Films of 2015 I want to do an honorary mention to a few films that are well worth checking out. So without further ado, here are my Top 5 Movies of 2015, from 5th Place to 1st. 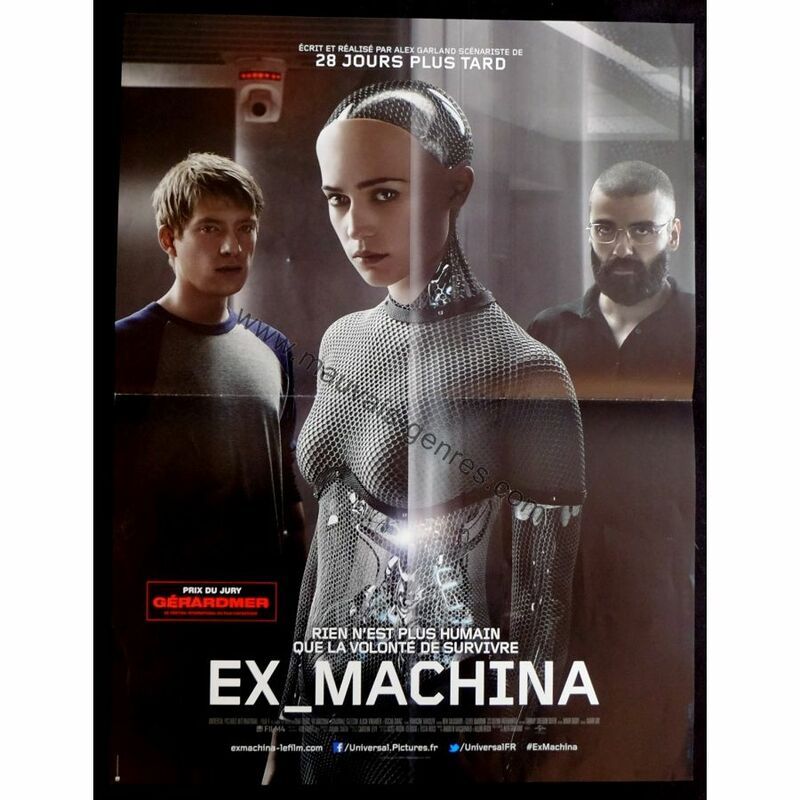 “Ex Machina” is high concept sci. fi. at it’s best. In my opinion it blew “Interstellar” out of the water as it had a focus on characters and concept that we don’t really ever get from Nolan. It was also good at showing rather than telling which gives us some extremely haunting scenes. Oscar Isaac does an amazing job as the antagonist as Nathan the creator of the A.I. who manages to be both threatening, scary and vulnerable. The side characters are great too and I loved Gleeson in this role versus his General Hux in “The Force Awakens.” Here I could take him seriously as you could see where he was coming from as an outcast seeking connection with anyone. It’s a powerful film with themes of what it means to be sentience and what liberation is and if you enjoy science fiction, is well worth your time. 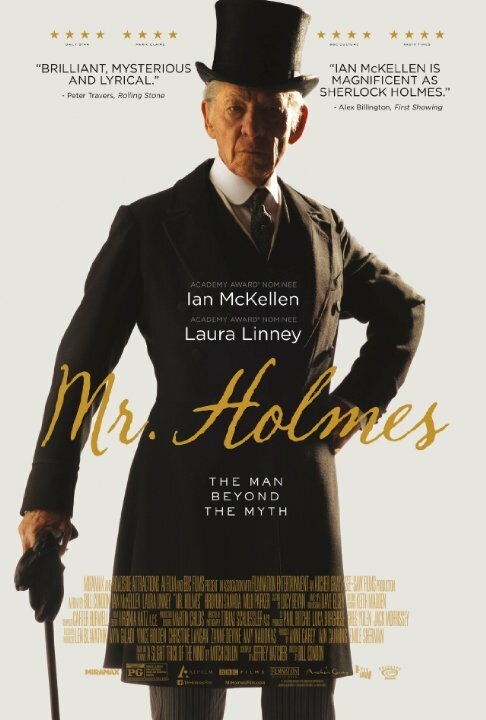 Ian McKellan is the most human of all the Sherlocks as it is the conceit of this film that Sherlock has to face how alone he is and that he can no longer count his mind as it is failing and nothing can prevent that. It’s a sad story for that reason as we learn about the case that caused him to retire. The film is powerful as we are given glimpses into different time periods of his life and how they tie to his loneliness in the present as he seeks to solve the problem of the case that caused him to retire, as he no longer remembers it and only has a picture of a woman as a clue. From here the case unfolds as we deal with all the layers of what it means to be mortal, and in that what it means to live and to die. I can’t recommend this film enough. Check out the book. It is really good and Ridley Scott stayed surprisingly true to it. This is the best Ridley Scott film since “Kingdom of Heaven” and chances are you’ll enjoy it even if you aren’t into science fiction. 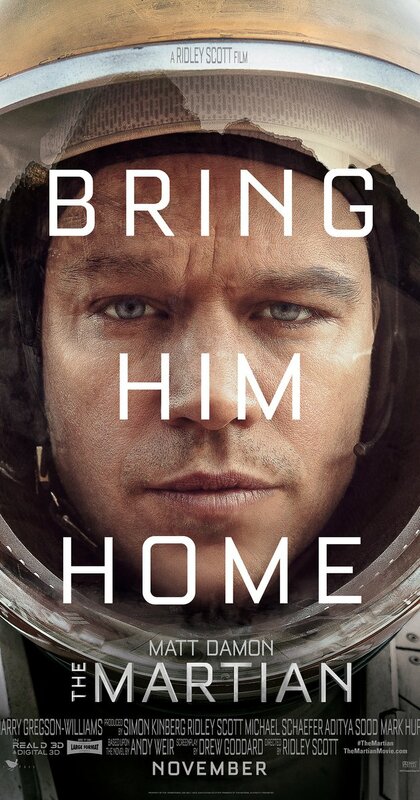 This is a film full of humor and drama that gives us glimpses into the lives of the characters as Mark Watney (Matt Damon) seeks to survive on Mars until N.A.S.A. can work up a plan to bring him home. We see all of the drama…from the politics at N.A.S.A. to the hard choices that Watney has to make in order to survive some extremely difficult situations, and even the choice his crew is faced with on their journey back to Earth. There are no villains and because of it every character get’s explored in why they made the choices they did. The cast is fantastic and the cinematography is absolutely stunning. This film will no doubt win awards during the Oscars and it certainly deserves those awards. 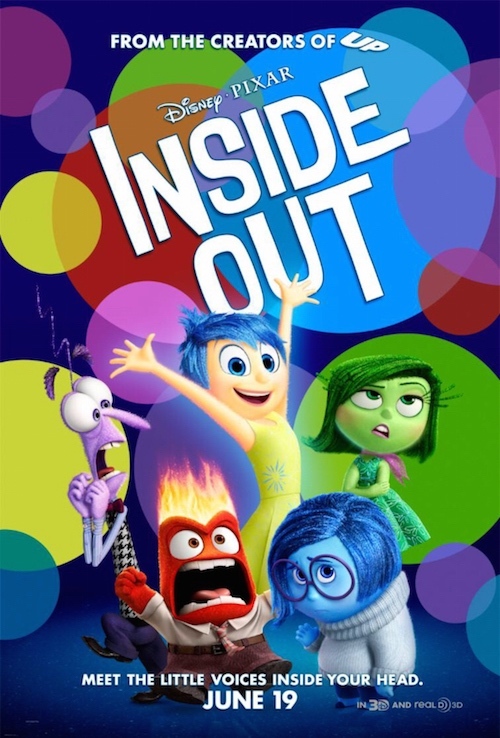 There were two unbeatable Pixar films for me, until I saw “Inside Out.” Those films are “Wall-E” and “Up.” Both films capture the beauty and hardship of being alive or being human so well and this film is no different as we get to see emotions as living beings interacting and making choices when their host Riley is pulled away from her hometown to San Francisco and has to make new friends and get used to a world where she feels alienated. Without giving anything away, this film will probably make you tear up. There is loss, growing up and moving on and integrating past events and emotions to create a whole. It is one of the best films that explores human psychology that I have ever watched, and as an aspiring psychologist I appreciated the framework this film brought and explored. The characters and living emotions are wonderful and the voice actors were perfectly cast for the roles whether it was Lewis Black as Anger or Amy Poehler as joy. If you haven’t seen it, check it out. Pixar has struck gold again and told one of the most compelling masterpieces of what it means to be human. “Fury Road” is one the deepest action film I have ever watched. Who would have thought that a giant car chase could explore themes of patriarchy, feminism, liberation, redemption and the healing from trauma while giving us the best cinematography and some of the best characters to come out of any fiction. 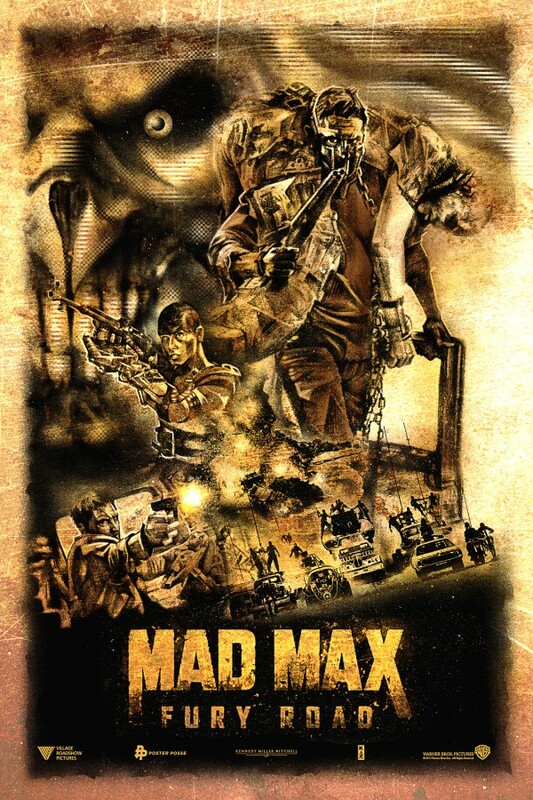 Immortan Joe was a fantastic villain who managed to be both vulnerable and threatening, Theron’s Furiousa was an amazing protagonist who was flawed but whose drive carried the plot as it is her freeing Joe’s Breeding Wives that lead to the chase and the premise of the film. Tom Hardy as Max also gives us a gruff vulnerability too as we see him slowly regain his sanity over the course of the film. This is a universe that is so much fun and that I look forward to returning to again. George Miller created a masterpiece greater than all of his other past work and created a film that I expect to forever be a classic. These were my Top 5 Films of 2015, I’d be curious to hear about yours as well. It was an overall great year for films and I look forward to see the stories that these films inspire in the future.